Most of us hear about mental illness or mental health in the news when something tragic happens. A mass shooting, a mother or father killing the kids, or or a murder-suicide. We hear about it when our parents or other relatives discuss family members that have a diagnosis. We may talk about it with our friends if one of them opens up about their own struggle with mental health or in relation to a story-line from a TV show. But what do YOU have to say about mental health and mental illness? What is the impression YOU convey to others when discussing either topic? Being aware of how YOU feel about mental illness is important because it will show in your actions and in your words with others. One out of four people are affected by mental illness, so chances are you know someone that has been affected by it. Our words and actions have a huge impact on others, and your words could ultimately encourage someone to seek help. Many people lack empathy, the ability to understand and share the feelings of another, when it comes to mental health issues. 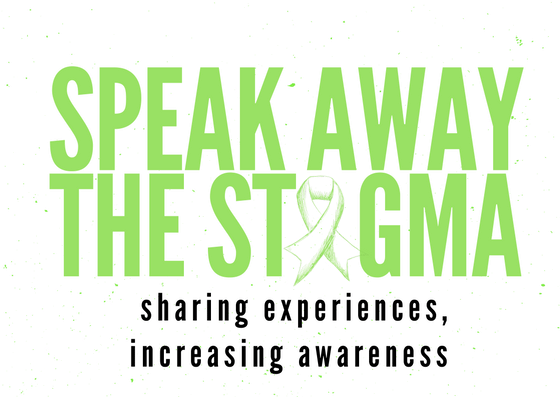 Increasing awareness and healthy conversations can increase a persons ability to better understand the reality of mental illness and the importance of mental health. If you are unsure of what your feelings are surrounding mental illness and mental health, take time to learn about it. I am not suggesting you go out and read medical books, but I’d suggest reading magazine and newspaper articles, blogs, and even some fiction books. I recently read “Wouldn’t Change a Thing” by Stacy Campbell and I loved it. This is a fiction novel and Stacy does a phenomenal job at describing a what a child may go through in dealing with a mentally ill mother. I was able to relate to the main character, Toni, and it made me think about how I had spoken about mental illness in the past. It also showed me how my thoughts or perception of mental illness led to me avoiding my mother versus learning about her illness. As I thought about it more, I realized that when I was a child not much was said about the illness and when it was it certainly was not informative or helpful.